Planning a wedding is a big job. Like many couples you may want to give it a crack yourself, if you have these 3 qualities you will be just fine. They say it takes at least 250 hours to plan a wedding. Once your've been through it, your'll know that to be true. These days most couples work full time and trying to find the time to plan a wedding can seem impossible. Research takes up a large chunk, having everything at our fingertips provides us with more options than ever but this also takes up more time. The most difficult time to try and find is making phone calls and appointments during business hours. You may be able to get an evening or weekend appointment here but likely you will need to take time off for daytime appointments also. To plan a wedding you have to be organised, there are so many details to go through and to remember. It can be easy to forget dates that payments are due for fifteen different suppliers, or whether or not you have paid the deposits. A folder to hold all your paperwork and a diary are essential. Make a master list of all your vendor contacts- you will need this for your wedding day. Make sure each vendor and anyone helping you has a copy of the schedule of events for the day too. Even if you are planning on hiring professionals for every element, you will need to have some idea on how the day should flow and function and be able to articulate that to all your suppliers. You also need to ensure that your wedding decor is consistant and not made up of clashing ideas your've perhaps plucked off Pinterest. If you feel a little uneasy about this part consider hiring a Stylist to design the decor. 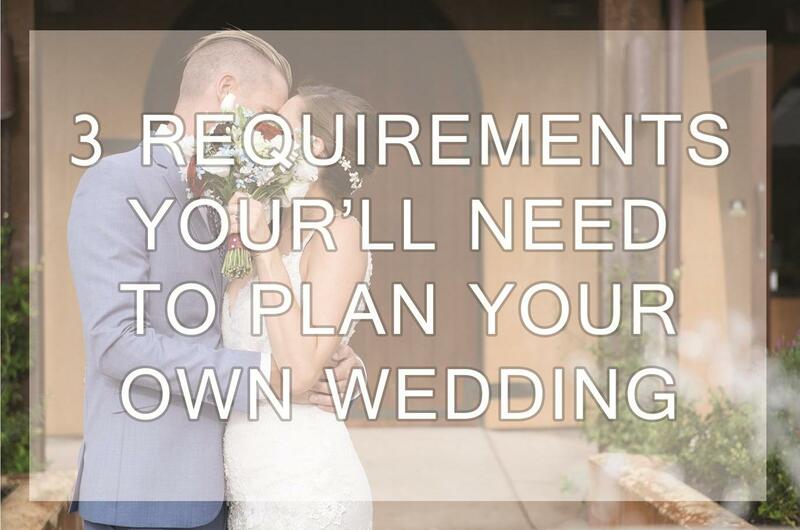 Best of luck or if after reading this it all sounds like a bit too much, talk to us about Wedding Planning.